I don’t see anything interesting in the features and while I’m sure there must be a reason for skipping 7.6 and calling it 8.0, please don’t imagine that I know or care what it may be! The 8 in 2018? 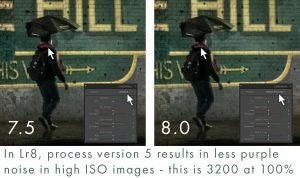 Anyway, I don’t really consider it a full version upgrade in the way we’ve understood them in the past, but that understanding has never really caught up with how new features now come out between full version releases. In fact 8.0 replaces the 7.5 installation exactly as if it had been called 7.6, and you can open your 7.5 catalogue in 8.0 without any catalogue upgrade, then re-open the same catalogue file again in 7.5 without any impact. That means switching to 8.0 is harmless enough – Adobe have just rounded up the numbers. 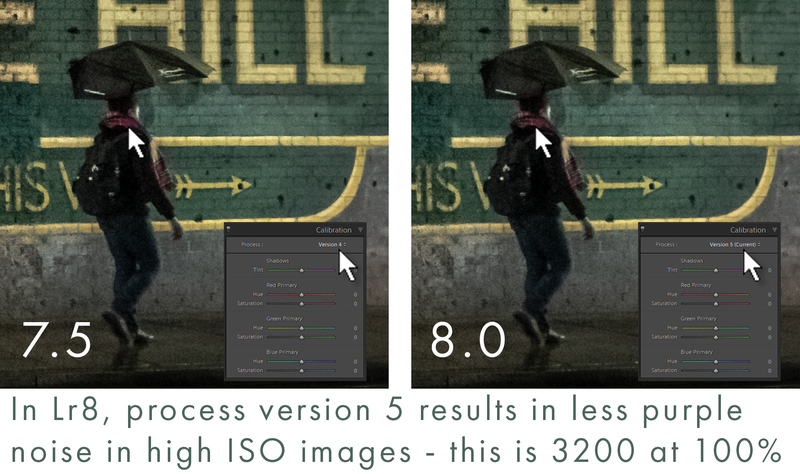 I’m much more interested in the new stuff in Photoshop, particularly the changes to content-aware fill and the ability to preview blend modes – that’s one I’ve wanted for years and years! Combined HDR-Panorama, great, I do a lot. It was very laborious! I appreciate that. I just don’t do that kind of photography myself, or anything else in 7.6, oops 8.0. You’re right, and that may well explain the jump to 8.0. I guess I would just add – better negative dehaze, never use it. I think I could do better, Rikk! I could have called my post “LR 8.0 round up” but isn’t there a weedkiller with that name? Love the way you put that, John!